The Hairy Plug Monster and other stuff: 2013....Could this possibly be the year? 2013....Could this possibly be the year? The last two months have seen me lose quite a lot of the momentum I have been building up over the past year. Having made several breakthroughs on the Ebook front, I naively thought that I could finally get "There's Something Wrong with Grandad" exclusively ready for the Kindle and have it available for Halloween. This is a collection of stories that has missed so many deadlines it's comical. then again, as an illustrated story book. Before building up the bottle to release it solely as an ebook exclusively for the Kindle. before finally converting it to Mobi format using Calibre. So armed with this, I threw myself into getting TSWWG ready for Halloween. This meant stepping up to the plate on Twitter and using Pluggio to drip feed content onto my Twitter feed, chase after followers and hopefully get them talking. I even found a few more images to make up the shortfall left by Jodie, reformatted all the stories so they looked good on all of the Kindle devices - and braced myself for another smooth book release. I was flying and everything looked very good. But when it came to converting them, I found that the TOC (table of contents) was missing and it was back to the drawing board for another few sessions of self doubt and forum trawling. What started off as a few days lay off, then turned into a week and then almost two months of leaving an almost complete book, instead of sitting down and getting on with it. I semi nailed the process required to get the book up and running, but Christmas and work proved to be quite a distraction and in short nothing happened in December. Other projects gained weight and new projects were born. 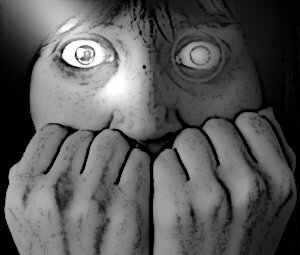 (in my head, that is,) and before I knew it I had another list of projects filling up the spaces in my head, all screaming for attention. 2. The Pot Bellied Cook and the Three Legged Dog: Format and publish as a book/ebook - obtain translations and publish. Promote and market the book, coordinate the PR and reading schedule. 3. Publish Farsi, French and hopefully Russian translation of the HPM. 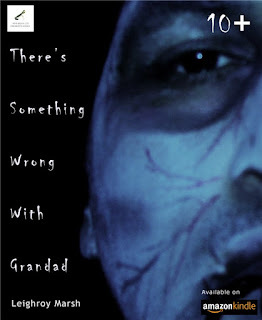 As you can see, I have finally managed to publish There's Something Wrong with Grandad in Mobi format which is available to buy or rent from Amazon. This project has been haunting me for years, so I feel good to be able to finally present it in a decent format. I am hoping that the e-book will be the thin end of a very long wedge and am still adamant that the collection needs to be in audio and eventually visual format. I think that covers the publishing aspect of HPM, and I will use the next blog to tell you about the music and games we have been developing.